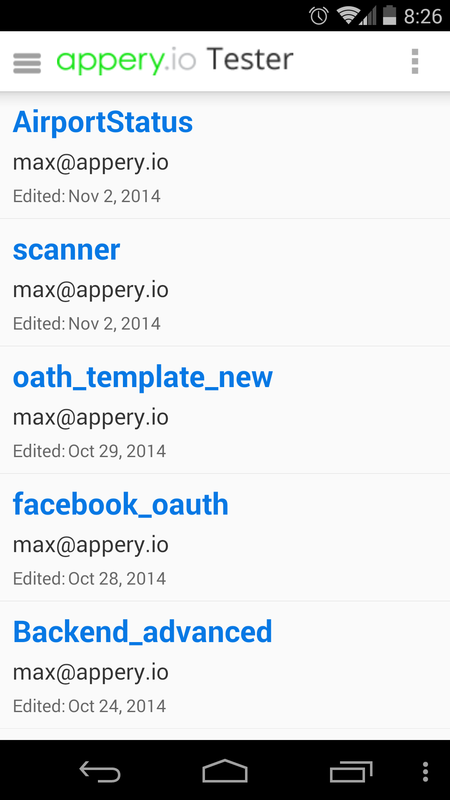 This short tutorial shows how to build a barcode scanner app with Apache Cordova (PhoneGap) using Appery.io cloud development platform. If you don’t have an Appery.io account, please sign up for the Starter (free) plan. Sign up should take 1-2 minutes. Once you have an account (or have signed in if you have an existing account), click Create new app button to create a new app. Enter app name and click Create. 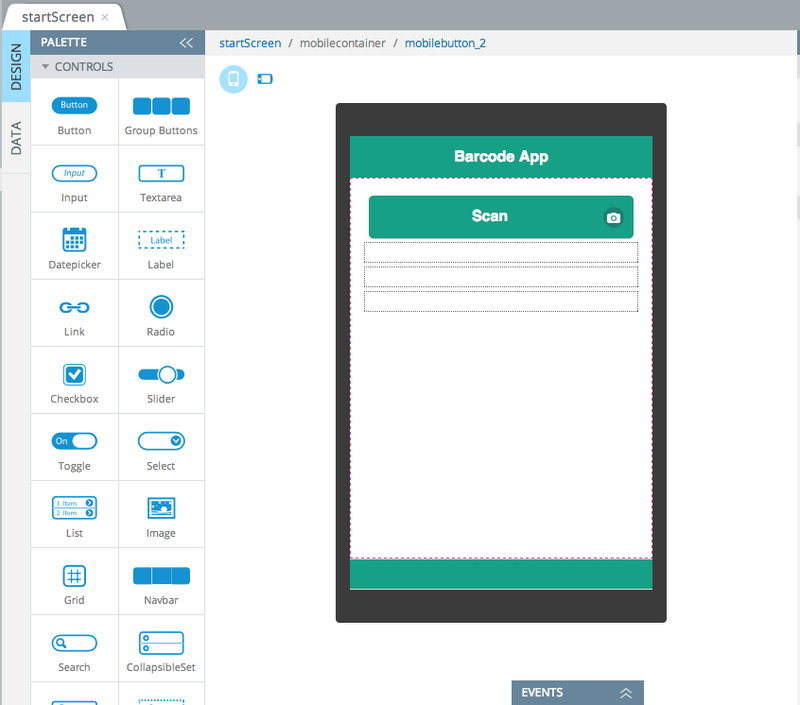 Every app that you create comes bundled with Apache Cordova and the Barcode scanner plugin. 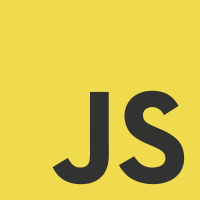 This means you can invoke any Cordova API right way. Third label will display true or false. True means the scan has been cancelled by the user. 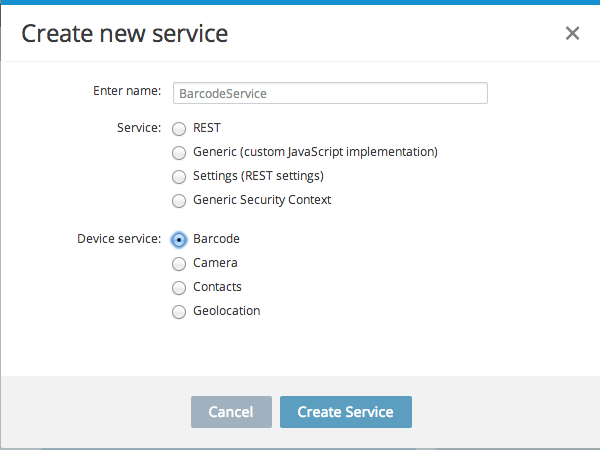 To add the Barcode scanner service, go to Create New > Service > Barcode, click Create Service button. The service will now be listed under Services folder. 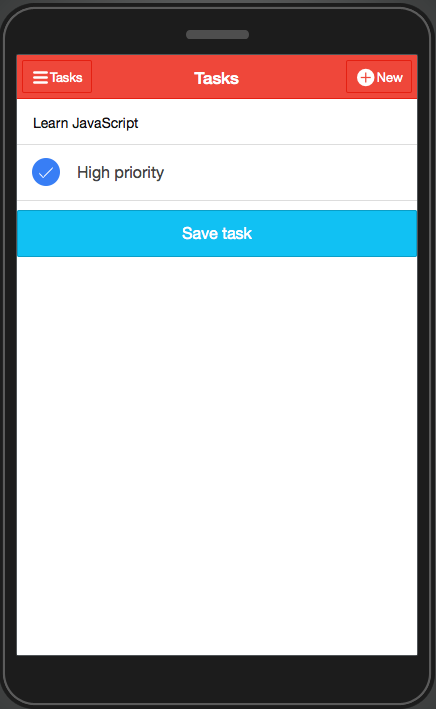 The service doesn’t require any input (Before send) mapping. Click Save and return to save all changes. The last step is to invoke the service. Go back to Design view. Select the button and open the Events tab. 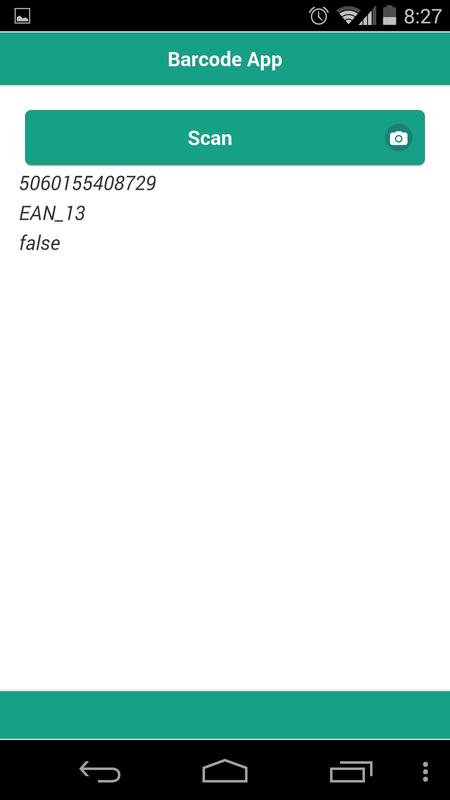 For Action, select Invoke Service > mobilebarcode1. Click Save. As you built an app that uses a native API, the app has to be tested on the device. 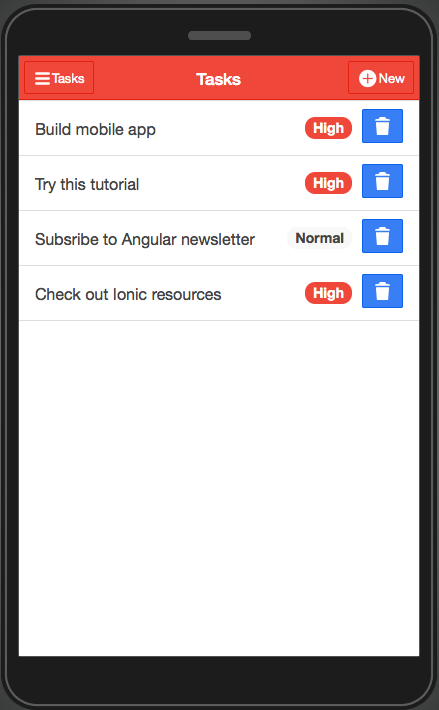 Appery.io provides a special Mobile Tester app that allows you to test the app without installing it on the device. This is very handy as you don’t need to install the app to test after every small update during development. 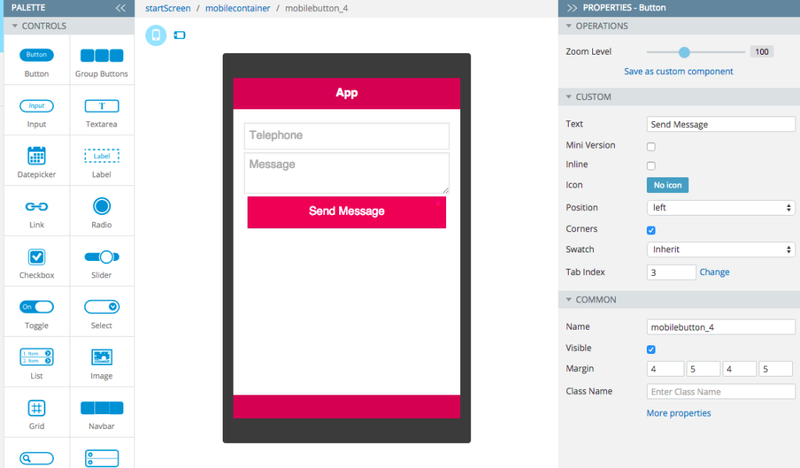 Using the Appery.io cloud development platform to create hybrid mobile apps is fast and easy. If you want to learn more, head to our Dev Center for many other tutorial or check out our YouTube channel.